REVIEWS: INFO: "Captain Josh Zacharias from Outermost Angling Charters is a true tuna machine . 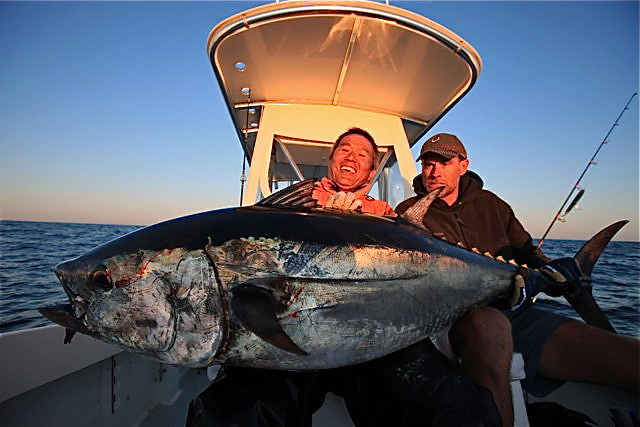 "Captain Josh Zacharias from Outermost Angling Charters is a true tuna machine . . . an easy-going guy with a great disposition and an incredible knowledge of the local waters after growing up and fishing there his whole life. If you've ever had the desire to hook and land a true giant of a fish using standup spinning tackle and top water plugs and poppers, Josh is the one to call and Cape Cod is the place to go." — Doug Peterson, Oceanport, N.J.
"I cannot say enough great things about Josh's operation and about Josh himself. First class all the way." — Gal Hever, U.S.